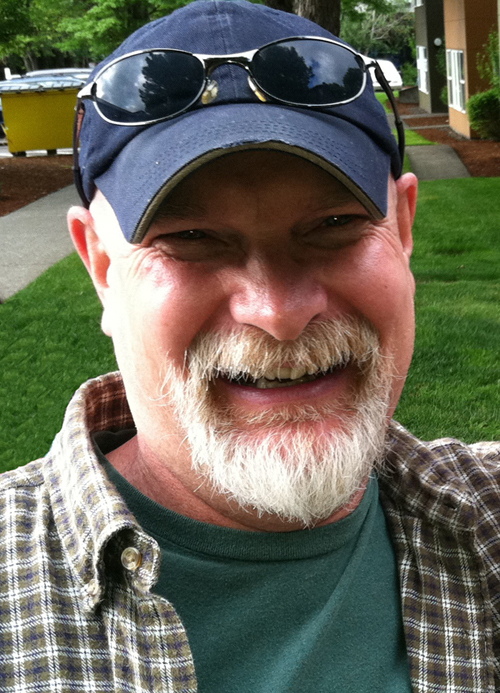 R.H. SHELDON is a Northwest writer whose works include the novel Dancing the River Lightly as well as numerous news and feature articles for online and print publications such as Seattle Magazine and E – The Environmental Magazine. He’s also written restaurant reviews, marketing copy, legal summaries, training material, and anything else necessary to keep the creditors at bay. Sometimes it works. Sometimes not. These days he often writes while traveling in his VW camper, which he blogs about at rhsheldon.com. His piece, “Birds of Paradise,” appeared in Volume 6, Number 2 of Silk Road. Gina Warren: How did you begin writing Birds of Paradise? Was there an initial catalyst that sparked the idea? R.H. Sheldon: I’d been traveling around the country for the better part of the year and landed in the South, which is when I started the story. In one town after the next, I saw closed-up business, abandoned buildings, and boarded up windows. The economy had hit these places hard, yet the aftermath had given the towns a timeless, almost fantastical quality, as though they could have belonged to any number of depressed eras. For many who lived in these places, there was no choice but to leave and head to wherever they could find work or a better life. For others, leaving wasn’t that easy. And even in towns that had not been as decimated, at least not apparently, there still seemed a sense of desperation and resignation among many of the people who lived there, feelings no doubt complicated by such issues as obesity, poverty, drug abuse, and teen pregnancy, issues all too common to much of rural America. So my story was born out of the desperation I sensed in these places. And I sensed too, that beneath the desperation, there simmered desires and passions that could never be fully realized, all of which pointed to the complex undercurrents that define much of rural life in this country, including the South, and overturns any simplistic stereotypes of the people in these regions. That said, there was never one inciting incident that prompted the narrative itself. Only the feelings I was left with after having visited there. GW: There is some ambiguity in this story, questions it raises without fully answering: such as why Tulip left so rapidly for New Orleans, why Fletcher’s daddy told Tulip not to visit the garage anymore, and what started the fire that killed Fletcher’s father. How do you balance the tension between keeping the reader in suspense and telling a good story, especially in a piece this short? RHS: I’m a big fan of ambiguity in fiction, perhaps because it seems to better approximate real life. The trick, I think, is to provide enough ambiguity to leave readers with something to consider after finishing the story, but not leave them so befuddled they revolt in frustration and anger and want to rip your story to shreds. When used effectively, ambiguity makes readers take a second look at what they’ve just read and challenges them to rethink their conclusions, perhaps to the point they want to reread the story to discover what they might have missed or to figure out a new way to assemble the pieces. At times, however, I think I tend to go too far overboard with the ambiguous. For example, originally, I had not provided any dates in the story because I was going for a certain timeless quality and felt that placing the characters in a particular era might pigeonhole them too much, but persistent editors insisted otherwise, so I succumbed. Balance is the key, I suppose. Without it, you end up with Hollywood-type writing on one end of the scale and a Naked Lunch sort of thing on the other end, in which the pieces never quite fit together. For such a story, you better be damn sure of your audience and what you’re trying to achieve. GW: The diction of Birds of Paradise conveys a strong sense of the narrator; how did you chose this voice? RHS: I think this ties to my response to the first question and my travels around the county. I had passed through a lot of new places and was exposed to a lot of different people. During that time, I was experimenting a great deal with different aspects of my writing, particular those aspects related to narrator and voice. In fact, playing around with narrator and voice is one of the best parts of writing fiction, at least for me. However, it can be difficult to do that if I limit myself to a small subset of people and places. I think that one of the most challenging aspects of writing that we, as a writing community, have to face is how to make time to write but not shut ourselves away from the world. So when I have the opportunity to get out there and experience what’s going on, I like to use the things I see and feel and hear and taste and smell in ways that let me occupy other voices and narrators and let me experiment with different perspectives of the world. GW: Do you begin writing stories with an ending in mind, or do you tend to see where the narrative takes you? What about pieces that are as compact as Birds of Paradise? RHS: Rarely do I know where a story is going when I start it. Writing works best for me when I share with the reader the process of discovery. If I’m not interested in where a story is heading, chances are, no one else will care. I write, in fact, to find out what’s going to happen. The unfolding of a story is an evolutionary process, one in which the process of writing itself holds the key.